Happy Halloween everyone! Since Halloween is in the middle of the week this year and we’re busy with visitors this weekend, we won’t really get a real chance to celebrate. But I couldn’t let the holiday pass without making at least one fun treat! I couldn’t resist buying eyeball sprinkles a few weeks ago and decided to put them to use. 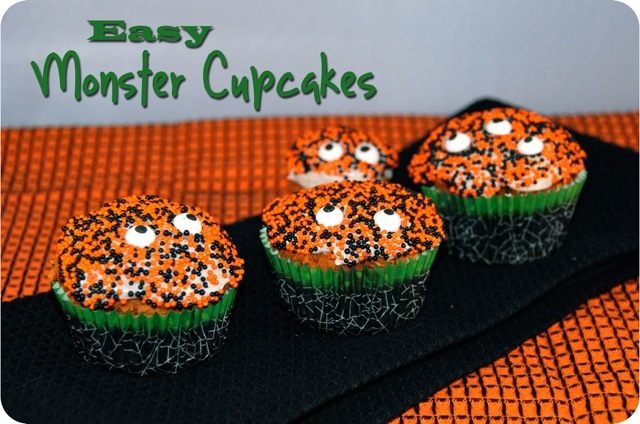 These cupcakes are super duper easy to throw together but way more fun than plain ones! 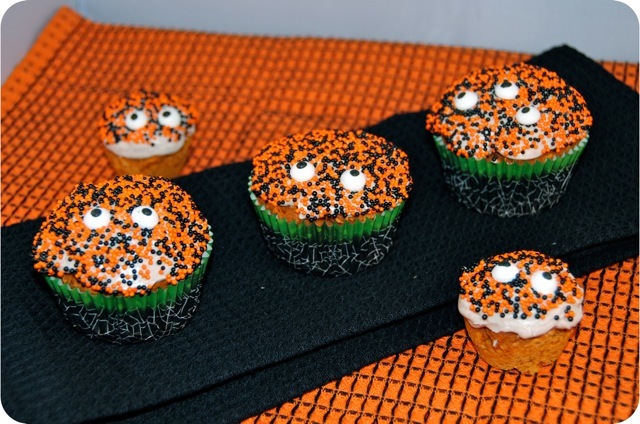 Dip the frosted tops of cupcakes into a bowl of sprinkles to coat. Add eyeballs. Ta da! So easy and adorable. 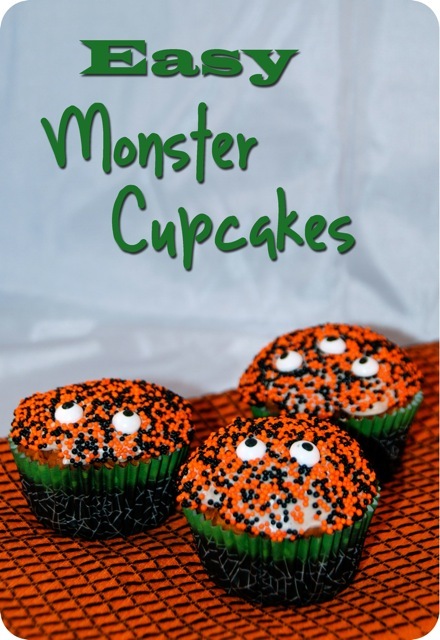 I made half my batch into regular sized cupcakes and half into minis… A whole family of monsters! These little guys are so easy to make, there is definitely still time to add them to your menu tonight. 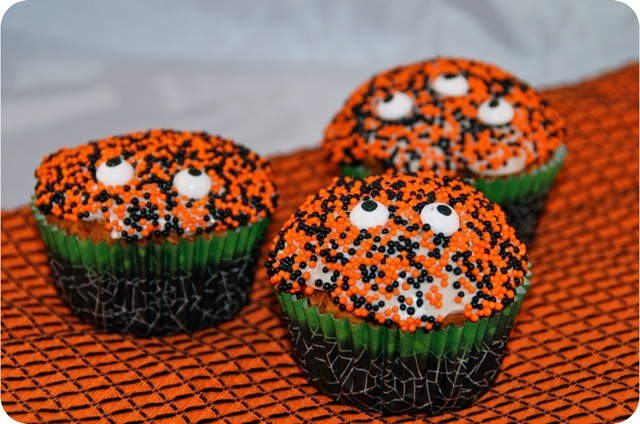 Check out these other fun Halloween treats!